I recently happened to meet Rahul Singh, Founder and CEO of “The Beer Café”, an upcoming chain in Delhi NCR, based out of Gurgaon. Rahul comes across as an affable person, having spent over 20 years in the Indian Retail Industry. Before turning entrepreneur, Rahul was working for Reebok as Executive Director and was responsible for sourcing apparel for domestic as well as export markets. An electrifying guy, Rahul seems to have a natural flair for entrepreneurship. It was a chance meeting to discuss a business proposition but turned out to be a very engaging 90 minutes one on one. Prior to The Beer Café, Rahul was responsible for creating the first ever indoor Golf centre along with F&B and Entertainment at Gurgaon, at the upscale Ambience Mall. I couldn’t resist but to ask Rahul how many months did he take to come up with the idea of a Beer only place. He was quick to retort saying that it took him just two months! I loved the way he simplified his method of narrowing down the concept. According to Rahul, there are three broad categories in the F&B Business – Fine Dine, Quick Service and Fast Food. He chose the Fast Food model. Within that, there were two options – to focus on food or beverage and he chose the latter. And within Beverages (read Coffee Café chains like Café Coffee Day, Barista, Costa Coffee, Gloria Jeans and Starbucks which have more than 2,000 cafes in India), he chose cold beverages and that’s how the idea of Beer Café was born. Simple idea that relies on classy execution. Rahul wants his chain to be the CCD of beer and conversations. Alcohol frees up the mind and the soul and today, one has fewer choices to consume a pint of beer, either at a restaurant or at a Pub (home parties are a limited choice though). So, he wanted to set-up Beer Cafes in convenient locations where people could drop by with their friends or colleagues at work for a quick chat or a relaxed conversation. The Beer Café now has over 11 locations within Delhi/NCR and would have about 30 operational outlets within the next three months! With VC funding coming in, Rahul hopes to grow the café network substantially over the next couple of months. His only gripe: Real estate costs of First World with consumer spends of Third World. Every Retailer would agree to this quote. Operating Costs, especially store rentals are extremely high and staff attrition is another big challenge. Rahul is now looking for an able COO to run the business, so he could take a bigger role in managing Strategy and Expansion. The café is very appealing, with bright lights and a friendly attitude of staff. On a weekday evening when I passed by at the Beer Café at the Ambience Mall at Gurgaon, there were many who were having a good time seemingly. And many more would be in times to come. I came across two special offers by India’s leading café chains Café Coffee Day and Barista today. One was through a email campaign – Buy One (Cappuccino), Get One Free. And the other was on newspapers – a combo offer of a Cappuccino and Egg Wrap at a discount of over 35%. And this was not an isolated case – both these café chains have been advertising in the mainline media for quite a while now and have also been continuously offering discounts over the past couple of months on their products. And all this for attracting footfalls into their cafes. with the onslaught of new café chains such as Starbucks over the recent months and those such as Gloria Jeans, Costa Coffee and other regional café chains, this space has been witnessing active poaching of customers. However, the regulars haven’s shifted loyalty, and that’s in the proof of the pudding. If that were the case, monthly sales of these chains fluctuate quite much, which has not been the case. The biggest effort for cafes, contrary to what we believe is not just retaining existing customers but attracting new ones as well. CCD, as it is popularly known has followed a deep penetration strategy in large cities like Bangalore (where it is headquartered), Mumbai, Delhi, Hyderabad, Chennai and Kolkata. There are over 8-10 cafes of CCD within a 3 sq. km radius in Bangalore and all cafes are full with guests in peak times. Chennai, the hotbed of the South Indian Coffee culture has grown slower for CCD than other cities. That’s perhaps because the iconic Filter Coffee available in regional restaurant chains such as Saravana Bhavan, Ananda Bhavan, Vasantha Bhavan, to name a few are just unbeatable. The modern cafes also do not prepare the filter coffee and are more popular with the Cappuccino, the Latte, the Americano, the Espresso and ofcourse the cold coffee varieties which are difficult to replicate and are not easily available at other restaurants. Barista, which has slowed down its growth over the past three years and has focused on store profitability rather has been a pioneer of the coffee culture in the North, especially in Delhi. It has also been heavily advertising especially in conjunction with India’s leading newspaper Times of India about various offers. The first answer that comes to my mind, is Yes, indeed they should. Every company must advertise its products and services through relevant media to their target customers. There are two kinds of advertising, I would say. One is the Corporate form; CCD came up with its campaign “sitdownism” a few months bacj which was an instant hit among the youth and was well appreciated within the Advertising faternity. And the other is advertising its products and services. But then, for cafes, in my opinion, being present in a locality is itself the best form of advertising. The store itself is an advertisement (and holds true for other retail formats too). Be it Malls or High Streets or Airports, Café are often point of direction or a meeting place. 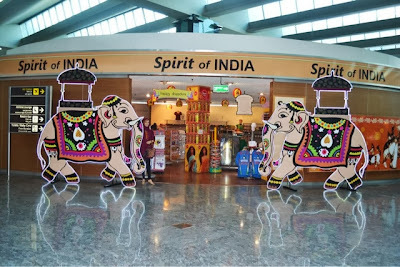 CCD at Bangalore Airport is located in a very prominent place such that no one can ever miss seeing it. Same applies for Gloria Jeans at Hyderabad Airport. However, At Delhi Airport’s T3 Terminal, Starbucks is quite tucked away and is almost missed by everyone. These are some factors which potential customers would consider before they step into the café for coffee and conversations. Most of them, even college kids who are the most targeted for such cafes do not like to indulge on products that are heavily discounted. Or would like to be seen in places which are positioned as being “discounted”. I would wonder then, why do cafes scream so loudly that they have products which are “discounted” and gain adverse publicity. A satisfied customer would get ten more, goes an old saying. Cafes would do better in attracting newer customers if they provided top quality Coffee and other Food & Beverages to its customers with consistent quality and convenience (Read: Furniture, Sofas, Chairs, Plug points for Laptops, Wi+Fi, toilets) and make the place a familiar one for them to revisit. Afterall, cafes are meant to be the third alternative place after Home and Office and hence need to be the first point of recall for customers to walk into. The Reserve Bank of India (RBI) has recently announced that Non-Resident Indians (NRIs) are not allowed to carry Indian currency out of the country. Earlier, the limit was ₹10,000 to carry with them after clearing Customs and Immigration. This was basically some loose change to meet Food & Beverage expnses while in the Security hold area. While cafes and restaurants do accept prominent foreign currencies, even foreigners try to finish their Indian currencies while leaving the country. What brings an opportunity is for Retailers to sell Indian souvenirs and interesting take aways which can be spent using the Indian currency. 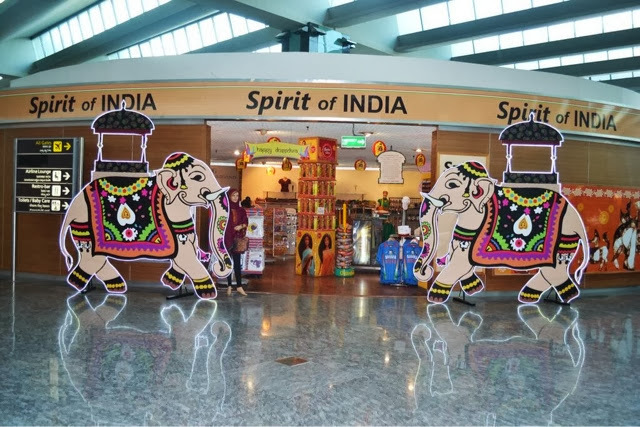 Keeping this in mind, we had created a very large section called "The Spirit of India" at the Bangalore International Airport. Within this area was a designer boutique from ace designer Deepika Govind among others. One could buy scarves, stoles, jewellery, neck ties and many more before departing. There was also a bookstore which was operated by India's largest bookstore chain Crossword. The store had many interesting books that doicted Indian history, arts among others. I remember, the most sold book used to be "Kamasutra". Foreigners would take it as a souvenir and NRIs would take it as a gift for their friends who lived abroad. The present rule is expected to be enforced with full force by RBI. If so, then this is a boon for Retailers to sell Indian products to those who are departing the country. Apart from many reviews, the one above set me thinking. Are Restaurants in Malls a viable option as compared to those on high streets? Are Mall shoppers the right TG for specialty restaurants in Malls? For the cost of operation in Malls, do restaurants make any money at all as a business option? When I spoke to the gentleman who runs the restaurant, he mentioned that the rent is about Rs. 65 per sft per month. Assuming they have an area of 2,000 sft, their rent per month would be about Rs. 1.30 lakhs. Add to that all other expenses which would be around Rs. 2 lakhs pm. On a conservative estimate of Rs. 15 lakhs of sales per month and an operating margin of 50%, the store would recover its expenses and have an EBIDTA of about Rs. 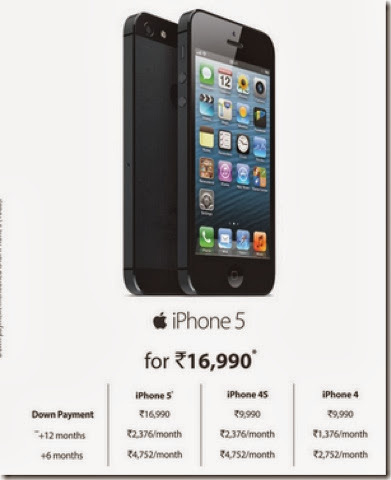 2 –3 lakhs per month. Given the way the outlet has been done, their investment would have been about Rs. 70 lakhs. So, the restaurant makes about Rs. 25 lakhs in profits (before interest and taxes a year) and would take about 3 years to break even. On the contrary, business would be double, if not more were it to be on a High Street. There are a number of good quality specialty restaurants that are garnering those numbers already. So, why do Restaurants still prefer Malls? Perhaps, Brand building and familiarity. I don’t see any logical reason why someone would invest so heavily in a Restaurant inside a Mall and wait for 3-4 years to break even, when it could be faster in a High Street. What works best are for established brands such as Rajdhani, Sigree, Mainland China, etc. which have built reputation over the years and have hence chosen to be within Malls to leverage their brand value. For first timers in the Restaurant business, Malls are probably not the place to be in. This is not restricted just to Chennai but to other cities as well. I was at Chandigarh a few weeks back and they have a brand new Mall called Elante. I was almost alone at Chilis on a weekday evening, which is located in the same floor as the cinemas on the fourth floor of the mall. Restaurants in India’s most successful Mall, Select City Walk face the same fate – Restaurants are empty through the week with weekends being their only busy times. So, what ails Restaurants in Malls? Mall shoppers are mostly for spending time, probably window shopping. Conversions for Retailers too is lower than on high streets. The sheer number of footfalls make up for lower conversions and therefore helps Retailers and Restaurants. Unless you are a destination such as a Shoppers Stop, Lifestyle, Café Coffee Day, Starbucks, Subway, KFC, Pizza Hut, etc. These are places which plan to visit and hence drop by. Eating out is way to expensive these days, given the cost of ingredients. And Restaurants are trying their best not to upset their clientele by absorbing losses as much as they can. But then, consumers are staying away from eating places on a regular basis, as was the case a couple of years ago. For example, a could of years ago, the neighbourhood area of Koramangala in Bangalore had almost 50 eating joints, a third of whom have closed over the last one year. Mall hoppers prefer food courts instead, which are usually pathetically planned. Mall planners in India somehow do not build large enough food courts, with thousand of chairs and a breathable exhaust system, that are modular and scalable as and when consumers increase. Instead, they try to lease all counters at one shot thereby not having scope for further expansion in future. What would cost around Rs. 600 for a family of three in the food court would probably cost over 50% more in a fine dine restaurant within the Mall. Restaurateurs would do well to experiment new concepts first on the High Streets. That is where people frequent. There are no SCAM, errrr CAM expenses (Common Area Maintenance) on High Street Locations and no restrictions to close the restaurant at a stipulated time. The biggest benefit of being on High Streets is that the signage builds familiarity among customers over time. No wonder, there are more successful restaurants in India and the world over on High Streets! Is there something as a Click-Only customer? I was recently invited to attend the first edition of the Retail Marketing Summit Chennai, organized by Paul Writer, a leading consultancy which works in the Marketing space and advises various enterprises. The day was very exciting, with speakers from various Retail companies and Brands expressing their opinions. During the course of discussions, there was a topic which was discussed elaborately by the esteemed panel of guests as well as the audience. The topic of discussion was, whether there was someone called a “Click-only customer” that existed, who shops only online. There were ayes and naes but there was no single answer that could be fully validated. On the need for having an online presence and also focusing on the internet commerce business, Mr. Pattabhi Rama Rao, President of Australian Foods, which runs the Cookieman chain of stores felt that the market is too small at the moment on the internet and Retailers should continue to focus on the offline business by providing a better customer experience. In his own words, Man is a social animal and social interactions would never cease to exist. Pattabhi should be knowing well. With over a dozen years behind him in the Hospitality business, he started off the Cookie business 13 years ago. His brand of cookies were priced 10 times as that of a normal biscuit, although such a comparison is odious. He continued his focus in the business and now has over a 50 stores across the country. 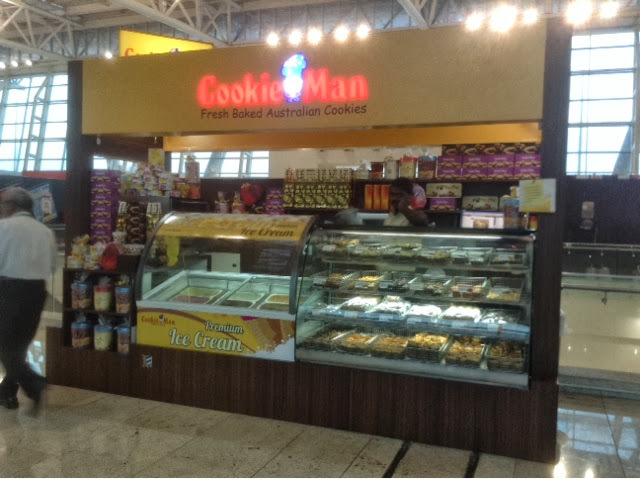 Most of his outlets are located in prime locations in Malls and Airports. Many of them bake fresh cookies at the store and the aroma spreads all over. It appeals to the senses and therefore converts a passerby into a customer, a customer into a loyalist and a loyalist into a brand ambassador. However, there is indeed an opportunity to sell categories like cookies online, although they are restricted to gifting and occasion based purchases. In another panel discussion, Calvin John of Caratlane.com which specialises in the sale of jewelry products said that a customer has purchased 35 times in a few months from their site. And he felt that there were a small but growing species of “Click-only customers” who shopped extensively online. Jessie Paul, the convener of the event and also a moderator in one of the sessions confirmed this and said that she shops grocery extensively online at BigBasket.com, a Bangalore based start-up which has been slowly but steadily growing its online-only grocery business. With more and more people shopping online, it is all about convenience and discounts? Would the charm of shopping (at Retail outlets) dwindle over time? There are references to the West and how things have been changing in developed countries. A lady from the audience says that at Macys.com, sales were 37% of the total compared to just 26% in the previous year during the holiday season. And this was countered with a view that the sales increase was only during the Holiday Season when Macy’s was very badly organized at their stores. In India, the Books category was the first to succumb. Customers (in India) bought books online from Indiaplaza, Flipkart, eBay and the likes not just for convenience but also due to the generous discounts that were being doled out. But for those discounts, would customers have bought online? Perhaps yes, but a majority would prefer browsing and buying at their favorite books stores down the road such as Crossword. The Internet Commerce business in India is still too small compared to the Offline one. As it is, Organized Retail in India is just under 10% of the INR 200,000 Crores market size. And e-commerce accounts for a decimal percentage of that. Although online retailers are showing double digit growth year on year, the business model is largely led by discounts and there is no hypothesis at the moment to prove that shoppers would still buy online at full prices, except for the gifting and essential categories. In my opinion, there is room for online and offline Retailers, But the bigger growth is offline, given the levels of broadband, internet and computer penetration in India. Payments gateways for credict cards, debit cards and Net Banking is quite limited too. In fact, I would place my bets more on m-commerce - shopping on smartphones which is still an untapped category. So, if you are a Retailer or a Brand, do build an internet commerce site now, if you already don’t have one. But remember, Retail is all about customer experience, and there is no better place than the store to demonstrate it. I was warmly welcomed by a service staff who knew his subject well – he explained the different packages they offered and justified why they were expensive. There were already two vehicles which were undergoing treatment – a Mercedes S Class and a Renault Duster. I asked him how is the business doing and he gave a smile, meaning things were doing quite well. Location was not totally a disaster though. It is located on the Beach Road, close to the iconic Light House (in Chennai). Although I felt it could have been located more strategically. Another gentleman walked over to me shortly and started interacting. Introducing himself as Vijay, he informed that he was the Franchisee Owner of the store. He explained in great depth his interest in automobiles, cars and bikes alike and his love for taking good care of them. According to him, the investment on the store including security deposit is around a crore (though I felt it was quite high) and the monthly business was about 15 lakhs with a margin of 35% on Sales. The customer lounge is powered by lighting wifi and one can use the facility while the car is being spruced up. Customers have written their compliments and feedback on Post-Its, which is incidentally one of the most iconic products of 3M. The company has taken up print advertisements recently which has helped increase walk-ins but what they actually need to do is much more – own the category and grow it too. The market size for Car Accessories in India is estimated to be over Rs. 1,000 crore, most of which is unorganized. Car Dealerships and private players like Carnation,3M, etc. have a huge potential, given the shoddy ways of getting your car done up at busy street-side shops. If marketed well, this could be a viable Retail model and is easily scalable. Like in many other cases, I see a bigger opportunity in smaller towns across the country where people take good care of their possessions. For me, its about making up my mind for a 20K bill – sooner than later, I would be there! A couple of days back, I was having a conversation with a colleague regarding Brand Experience versus Product specifications. He was of the view that a customer proposes to buy a certain brand or a product but the actual retail experience is utmost important to close the Sale. It got me thinking and the result of some intellectual head-scratching is this column. At the end of the day, it’s the product that the customer is ultimately going to use and may or may not remember the sales experience, especially for low-value items. In fact it may even qualify for certain high value purchases. For example, Bose which manufactures some of the finest sound systems in the world advertises heavily online these days (in India), about its products. They are usually banner ads and I find them all across – there is a certain way the online advertisers follow you (which I will cover in a subsequent blog later). But I wonder what kind of experience that Bose is driving while advertising its products online. For one, Bose is not bought. Bose is lived. In a sense that the experience of Bose is something that the consumer lives with during the lifetime of the product. Having said that, would a potential customer walk in to a Bose store after seeing the online ad? Probably yes. Bose banner ads direct the user to the Bose website. It is upto the customer thereafter to seek whatever information they need. And therefore, there is no closure of sale! Is Bose trying to popularise the brand or is it a sales technique? I guess it is the former. 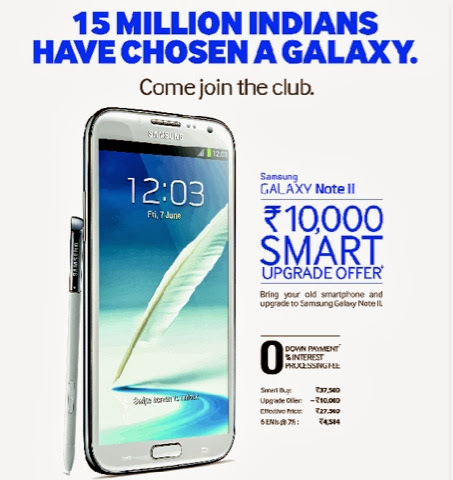 On the other hand, Samsung advertises its most famous Galaxy range of smatphones online too. In this case also, the company is building the brand but the nodes (read Retail touchpoints) for buying the product are umpteen in number than in the case of Bose. For, a Samsung Galaxy is available at thousands of retailers across the country in comparison to a Bose. While the online ad would build curiosity for a brand like Bose, it would convert more customers for Samsung. And these are just examples. While at the Retail Store, when a customer intends to buy a mobile phone, irrespective of the store experience, the customer would choose from one of the four main Operating Systems – the Android, the BlackBerry, the Nokia OS and the Apple iOS. It probably wouldn’t matter whether the retail store is Croma or EZone or Reliance Digital or a regional Retailer such as Viveks or Girias or for that matter, small time shops that sell these types of phones. In this case, its just the product that matters and not really the experience. Ecommerce is playing an even more important spoiler for Offline Retailers in terms of snatching away customers. Is there a physical experience in online shopping? Not really. Indeed, there is a lot of science in designing a great website / webpages but that’s more technical. Playing with the layouts is a tried and tested way for online retailers to keep improving the shopping experience. But there is really no “customer experience” as such while shopping online. There is no doubt that the customer would return to the Retail Store to buy a similar product the next time around if the experience at the store was extraordinary. Therefore it is indeed important for Retailers to ensure a consistent Consumer Experience at the outlets. At the end of the day, between product (availability) and experience, the customer would choose the product. It was a bright sunny sunday, June 24th 2001 to be precise. I landed in Kolkata in the morning by train at Howrah where my former classmate picked me up at the Railway Station. The smell of freshly procured fishes welcomed me as we passed by the Howrah Bridge over the Ganges in a yellow taxi – the iconic Ambassador which still runs in the city even now. After lunch and a short nap, I walked down Russell Street towards Park Street, the most popular shopping alley in what was then known as Calcutta. At the corner was an iconic orange and purple signage aptly named “music world” – the main branding purposely in small letters to convey the casual attitude of the brand. As I entered the store, I was in for a shocking surprise. Over 8,000 sft of space allotted to music – cassettes and CDs. There were separate areas for different genres of music. At the entry was Hindi and Bollywood – the Bengalis loved hindi film music as much as they loved their own. RD Burman and Kishore Kumar, were afterall local boys who made it big in Bollywood. And so was Amitabh Bachchan who used to roam around Park Street looking for a suitable career over 50 years ago. The influence of Western Music was notable on Bengalis – From Carpentars to Led Zep, from Michael Jackson to Madonna, people here listened to all forms of music. Regional Music – Bengali language was located at the far end of the store along with some titles from other parts of the country such as Tamil, Kannada and Telugu. Rabindrasangeet, the music compositions of Nobel Laureate Rabindranath Tagore sung by various artists had a separate section. This was the largest music store in the country. And I was going to be managing the store from the next day onwards! Whoa! I was so excited. Life at MW as it was called was pretty cool. The store would open for business around 10am and would close by 8.30pm as per local government norms. Customers would slowly start trickling in the morning, typically housewives and retired people and a number of NRIs who were on vacation in town. College goers and those who work in offices nearby would peep in during lunch hours before or after having a delicious meal at one of the restaurants on Park Street. Evenings would be college goers and music enthusiasts. In 2001, the store used to clock a sale of Rs. One Lakh per day selling music cassettes worth Rs. 35-55 each. DVDs were slowly growing then, and Video Games were starting to become a rage among the young and old slowly. Need for Speed was the most sold video game of those days. The RPG Group which was the company that owned musicworld launched with much fanfare “Hamara CD”, a kiosk which can create a customised CD of songs from across their extensive catalogue. The concept took off well though the prohibitive price of about Rs. 350/- per CD was too much of an ask and a deterrent to growth. Eventually, it died a natural death. There were so many album releases and launches almost every other day. It was great interacting with the guests, notably of them included Sourav Ganguly who had come for a music album launch and Diya Mirza who had come to promote her film “Rehna Hai Tere Dil Mein” (RHTDM, which was originaly made in Tamil as Minnale). Artist visits and Launches would culminate with a High Tea at the Flurys next door, one of the oldest and most respected Cakes and Pastries shop in the country. I had a great team to work with and each member knew their job so well. In fact I am still in touch with a couple of them and one of them has stayed back with the same store till date – for over 14 years! Even during those days, I was of the opinion that music would become free sooner than later. And to promote music, we had to promote music players and alternate sources which could play music. Early 2000s were the time computers were beginning to become a part of our corporate lives. Thick cardboard files were replaced by Floppy Disks carrying 20 times the data and which could fit in easily in a shirt pocket. CDs were just about to be gaining popularity. MP3 was a fairly unheard of format then. I remember discussing in various internal meetings that the company should sell music players along with music Cassettes and CDs. Naturally, as a freshly passed out Management Graduate from a Business School, my pleas fell onto deaf ears. I believed that unless we promoted CD players – the huge decks and portable ones, there was no chance that we were going to sell more CDs. I had already sensed that cassettes would see their end sooner than later and the next big wave was hearing music on computers and laptops. Almost every single senior that I interacted with laughed me off. I also suggested that we entered the Mall way of retailing – Rahul Saraf, the promoter of the first organized Mall in Kolkata, The Forum approached me to discuss a proposal to set-up a MW outlet within. My proposal was beaten down by the Management saying that Calcuttans would not shop at Malls and would rather prefer local markets at Ballygunge or Explanade. MW entered Malls much later but by then, music was already available in various other formats across devices. Sadly, the business declined slowly and it was recently announced that the curtains would permanently come down by the end of June 2013. I don’t fully agree that piracy alone is the reason for the decline of the Music Industry. It is also because the industry failed to keep up with the technological advancements. I was recently reading on Forbes India about Alok Kejriwal of Games2Win and his Indian experiences when he tried to come up with wonderful ideas in the mobile telephony space. He was the one who successfully pioneered the concept of Caller Tunes in India – one could send an SMS and get a caller tune and have it stored in their mobile phone. As he painfully explains, the mobile operators wanted to charge a premium for the service and also a lions’ share of profits from the venture rather than making the concept popular. Similarly, the Hamara CD could have been a clear winner those days. But the opportunity and greed cost the company quite a bit. Over time, music world eventually started selling non-core items such as MP3 players and the like, but it was too late by then. The kiosk outside the store on Park Street was selling cheaper chinese made MP3 players for a quarter of the price. music world also failed to collaborate with other music labels in the country to come up with alternate ways of streaming music, mainly because they owned the domestic and international rights of the extensive HMV catalogue. In fact, initially HMV owned content would get more prominence in the store than that of other labels. A couple of years back, I approached music world to co-opt with Café Coffee Day, India’s largest coffee chain with over 1,400 outlets across the country where I was the Head of Business Development and Expansion across the country. Instead of seeing it as a way to garner more footfalls and attract more music enthusiasts into the store, the folks at the company rather tried to charge a premium for space. Obviously the deal didn’t go through. Am sure, the team tried their best to revive the falling business, but what probably lacked was innovation and new ideas, not for the lack of it but for a lack of willingness, probably. It was one of the saddest days in my life when my former colleague informed me about its closure. I always knew this day would come, but it was earlier than expected. RIP Musicworld.